The 6 mm silencer outlet from next year will probably be a problem for some pilots. Most engines will slow down a little but some will have big problems with the higher back pressure from the 6 mm silencer. The higher temperature may also affect the life time for some engines. In the proposal for the 2011 rules the heat should be terminated and the pilot lands right after all streamers were gone. At the CIAM meeting in the spring this rule was taken out of the 2011 rules and postponed to 2013. There has been a lot of confusion on how this rule should be understood. I have posted my view on this rule at the Yahoo forum. It will not be mandatory to use the shut-off system or another device to stop the engine. If a pilot is asked to stop the engine he can just fly the model to the ground. From 2013 there will probably be some new restrictions on the exhaust noise. This could be mandatory use of a double chamber silencer or homologated silencers. The silencer must be able to reduce the noise with at least 12 dB when it is tested on the acoustic noise generator. The actual value might be set to another value when some tests and experiments have been done. To prevent pilots from building tune pipes the maximum length of the exhaust system could be set to 150 mm. This is the same restriction as we have today. The design, function, choice of material, etc. will be completely free. Only the silencer must be able to demonstrate that it can reduce the noise. When the exhaust noise is reduced the propeller noise will be dominant. This noise can be reduced by reducing the propeller tip speed. A way to go could be to set a minimum propeller diameter that is so high that the engine will not be able to turn the propeller more than e.g. 20,000 RPM. Another solution could be to certify propellers in some kind of homologation process. A description of this process can be found in this paper from WC in Hungary. 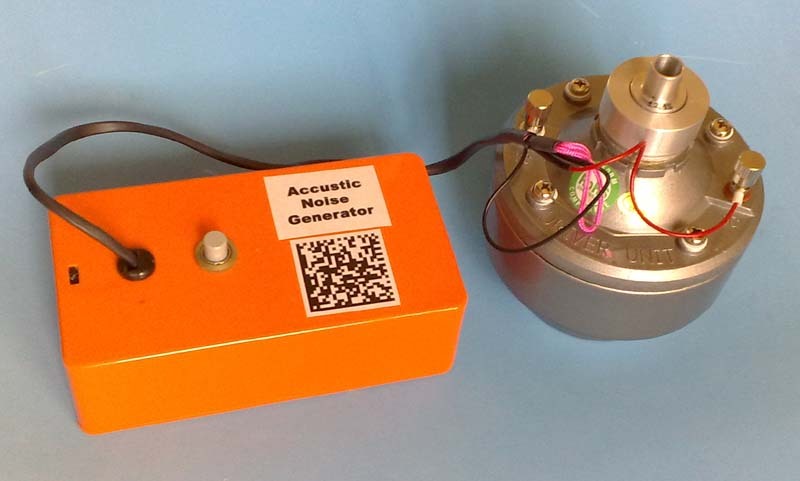 The acoustic noise generator has been used in F3D Pylon Race to verify silencer in a homologation process. The equipment and the testing procedures have been developed by Rob Metkemejer. F3D Pylon Race has used this technique for a year now. The noise problem in F2D Combat is similar to the problem F3D Pylon Race had earlier. It would be easy for F2D to learn from Pylon Race and copy equipment specifications and the testing procedures from them. Some of the best silencers for Pylon Race reduce the noise by 30 dB without affecting the engines! These silencers have been developed with the acoustic noise generator. The only change the noise rules have causet to Pylon Race is that the exhaust noise is gone!